Achieving a healthy, beautiful smile is the reason most people choose to straighten their teeth with orthodontic appliances, such as braces. If you’re self-conscious about your smile, correcting the alignment of your teeth can greatly improve the way you feel about your smile. 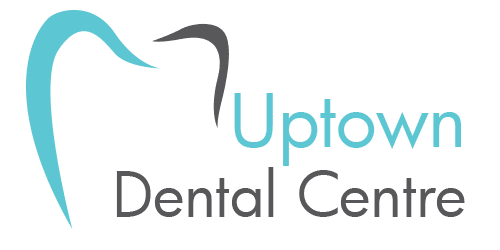 At Uptown Dental Centre we have several options for your consideration when it comes to choosing the orthodontic appliance that is right for you. We work with our patients to match the best orthodontic treatment options with the economics that work for them to ensure everyone has the opportunity to achieve a beautiful smile. Metal Braces – Traditional metal braces are still the most common type of braces, they are more comfortable and economical today than ever before. High grade stainless steel metal braces straighten your teeth using wires and metal brackets attached to the front of the tooth. To add some fun and color during treatment, colored elastics (rubber bands) are available for a more personalized smile. Ceramic (Clear) Braces – Ceramic braces appear less visible on your teeth than metal braces. The ceramic brackets are made of a clear material which makes them quite popular with our teen and younger adult patients who tend to be more self-conscious during treatment. While they are visually less prominent, ceramic braces require more attention to oral hygiene as the brackets can absorb stains from some food and beverages. Keeping your ceramic braces clean is of utmost importance to maintain this lower visibility appliance. Great news for our athletes, you can still play sports while straightening your smile with braces! If you play sports, we recommended that you wear a mouth guard to protect your teeth; that is especially true when you have braces. Let one of our dental team help you find the right mouth guard for the best protection. 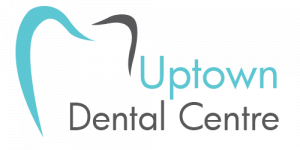 When your treatment with braces from Uptown Dental Centre in Edmonton is complete, you will have the smile you’ve always dreamed of and the confidence to show it off! From start to finish we want you to feel comfortable and confident about your entire orthodontic experience at our practice. Our friendly team of dental professionals is dedicated to making sure that your whole family receives the quality care you expect and deserve. All dental services provided by a general dentist.